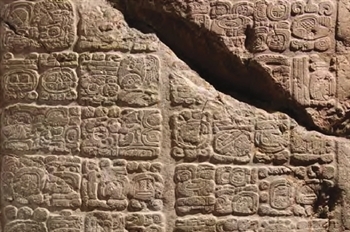 Picture of Deciphering Maya Glyphs Wednesday April 16, 2014 7:00 p.m. to 8:30 p.m. For years, an 11-foot-high, 8,000-pound Maya stone monument called a stela has been stored deep in the halls of the Museum’s collections. Michele Koons, curator of archaeology, begins the evening with the story of how the massive stela from Caracol found its way to Denver—in two halves, years apart! Marc Zender, Maya hieroglyph expert and a visiting assistant professor at Tulane University, will read the stela in its native language and decipher it into English for the audience. Zender will also share stories from his archaeological fieldwork throughout Mexico and Central America. Following the lecture, enjoy cookies and coffee as you examine this hidden gem of the Museum. I’m really looking forward to seeing Marc again since my I took his excellent Glyph Reading Advanced Workshop at the Maya At the Playa conference last September in Florida.